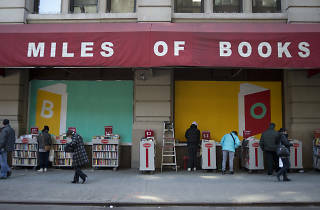 New York has its fair share of landmarks, but for dedicated NYC bibliophiles there’s been only one: Strand bookstore. Now, Fred Bass, the man who single-handedly made Strand into a literary mecca, has passed away at age 89. Bass began working at the store his father founded at age 13 before becoming its general manager in 1956. 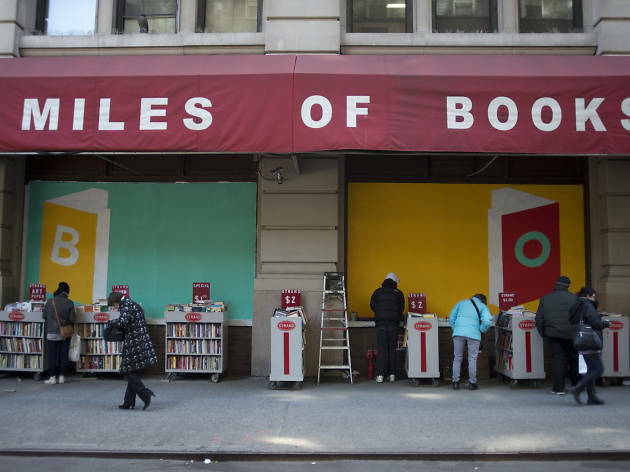 He moved the store to its present location at Broadway and 12th Street and began to aggressively expand its inventory by purchasing used books from just about anybody with one to sell. The store is famous for its buying desk, where people crowd in to see how much they can get for books ranging from reviewers’ copies to old paperbacks to fancy art catalogs; indeed, Strand has been known to buy out entire libraries. Bass established that policy and, more than that, created the store’s unique ambience in which browsing becomes something of a contact sport, thanks to impatient New Yorkers thronging through the place. And not just New Yorkers: Strand’s signature canvas book bag can be seen around the world. Bass himself was a familiar sight, rifling through books at the buying desk to check their condition and determine how much he’d pay. He hung in practically until the end, having only just retired in November.